Hosted by the International Junior Science Olympiad Executive Committee; co-hosted by ISJO-2015 Committee, Society of International Gifted in Science, Kyungpook National University; and sponsored by the Ministry of Science, ICT, and Future Planning, Daegu Metropolitan City, Korea Foundation for the Advancement of Science & Creativity, Korea Tourism Organization, and Daegu Convention & Visitors Bureau, the 12th International Junior Science Olympiad (IJSO-2015) was held from 2 to 11 December 2015. 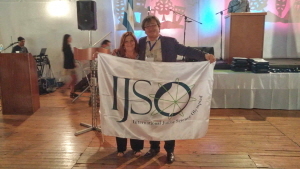 IJSO is one of 9 International Olympiads (Mathematics, physics, chemistry, biology, earth science, astronomy, information, International Young Physicists’ Tournament, and IJSO) officially recognized by the Ministry of Science ICT and Future Planning, but only event where Asian countries take the leading role, with its secretariat headquartered in Taiwan. 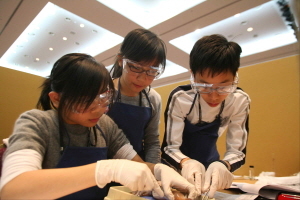 Supposedly a competition of each country’s greatest and finest gifted-in-science, the goal of this event is to nurture science prodigies as global leaders through a cultural exchange. In support of the goal of this event, exchange of traditional culture, as well as programs to visit the host nation’s culture & history will be conducted. South Korea has been making excellent achievements - all of 6 participants from South Korea have won gold medals in 2008 competition, where 1 of them has won the championship. 6 representatives are selected through Korea Junior Science Olympiad (KJSO) to train 6 months for the International Olympiad. During the selection process, applicants who passed preliminary examination but did not make to the final will still benefit from receiving online & offline education - a considerate effort from the host to provide education benefits to as many students as possible. ※ This article was realeased based on IJSO-2015 secretariat's press realease.